I am not usually one to be dramatic (okay maybe I am! ), but when I say that last year's Live Smart Series Conference completely changed my life, I mean it. My parents surprised me with the tickets to NYC for the conference, and I didn't really know what to expect. Before I knew it, I was scribbling pages of notes, guidance, and inspiration into my notebook. I still re-read those notes from the conference when I am needing inspiration and motivation. Last year, #LiveSmartNYC introduced me to some of my best friends, encouraged me to dream big, and ultimately gave me the push to start this blog. I am so excited to be making the trek to across the country once again for SGG's Live Smart Series Conference July 10th-12th! Some of the amazing speakers this year include the Editor-in-Chief of Marie Claire, Disney's Senior Vice President, and one of my very favorite bloggers, The College Prepster. There will also be great food, fun workshops, and an incredible swag bag! Getting to meet so many people I'd talked to for so long, hear from the most inspirational speakers, and explore New York City left me feeling on top of the world last year. I cannot recommend going enough. If you're going to the conference or have any questions at all, please reach out to me! 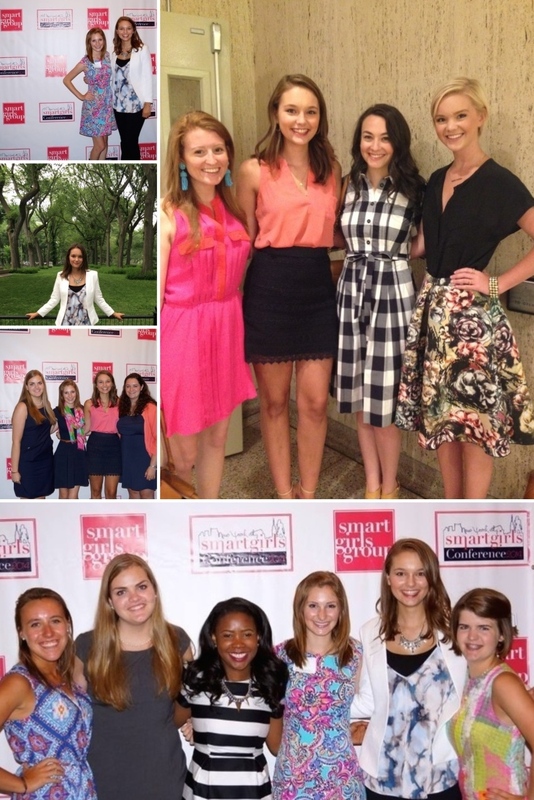 I would love to meet up, share more details about Smart Girls Group, or just chat about NYC!